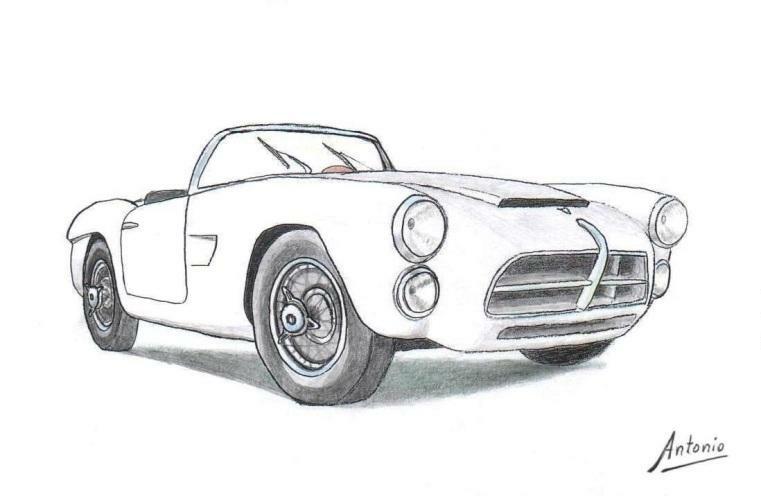 In the spring of 1955 Gonzalo Yébenes mandated the Barcelona bodybuilder Pedro Serra body building his new Pegaso. 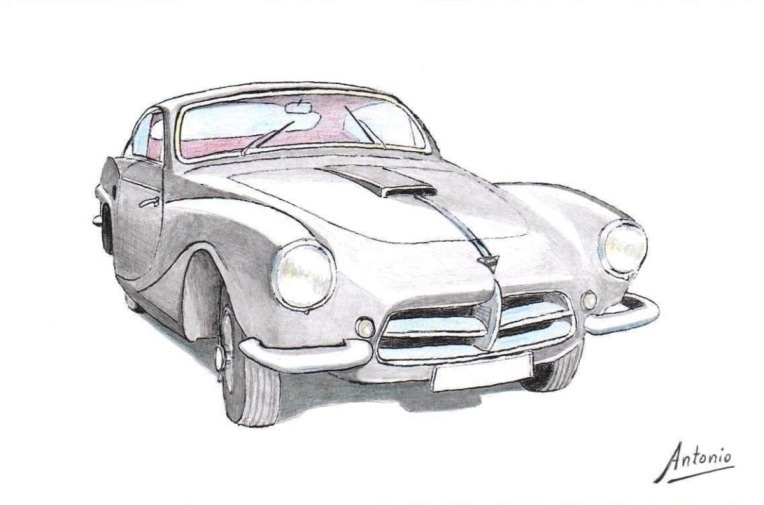 In late 1954 he had a serious accident with his previous berlinetta body Enasa Pegaso, and bought a new chassis that incorporate all the mechanical thought and its rugged engine berlinetta after body to his liking. 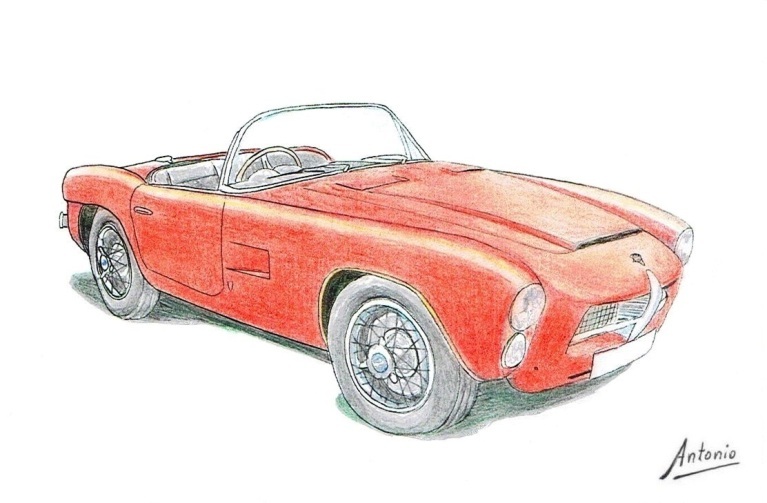 The model was listed as a red spider SSP (Serra Spider Prototype). 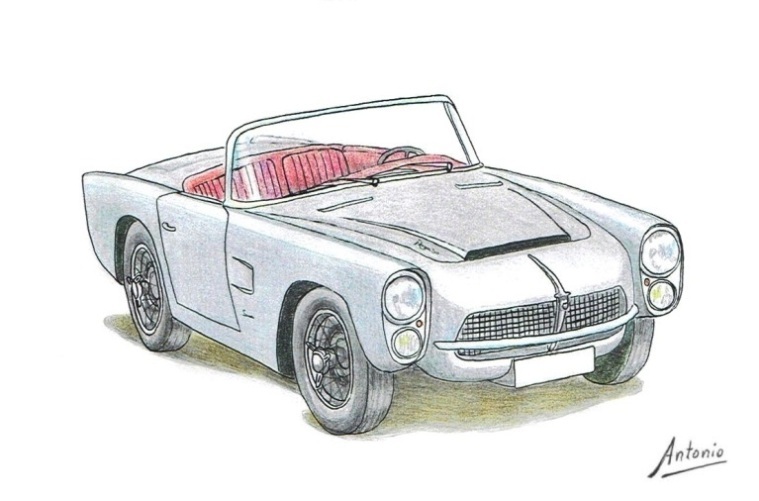 Some features of this model will remain in the following Pegaso Serra such as the panoramic windscreen, dual vertical headlights, a power on the front hood with two rear air outlets, plus side engine vents on the front fenders . It is currently preserved in the Museum of Automotive History of Salamanca. 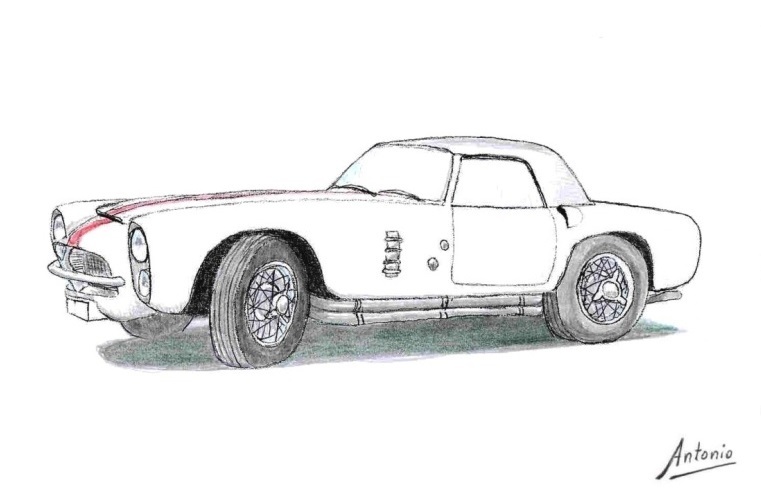 A Wilfredo Ricart will not go unnoticed the previous car, in October 1955 wanted to present at the Paris Motor Show the new engine Z-104, so it commissioned Serra a spider similar to Yébenes one. In September was prepared SS1 Z-103 ivory white. In October, the son of Ricart accompanied by Celso Fernández, take the car to Paris to expose in the Motor Show. It is the only Z-103 mounted Z-104 engine and has always belonged to ENASA it was never put on sale. It is currently owned by IVECO and is exposed at the Museum of IVECO on Aragon Avenue just outside Madrid. Exhibited at Autoworld Brussels (Belgium) 2018. Shortly after Ricart the Jerez Pedro Domecq made his charge. He participated in the movie Spanish affair, with Carmen Sevilla. 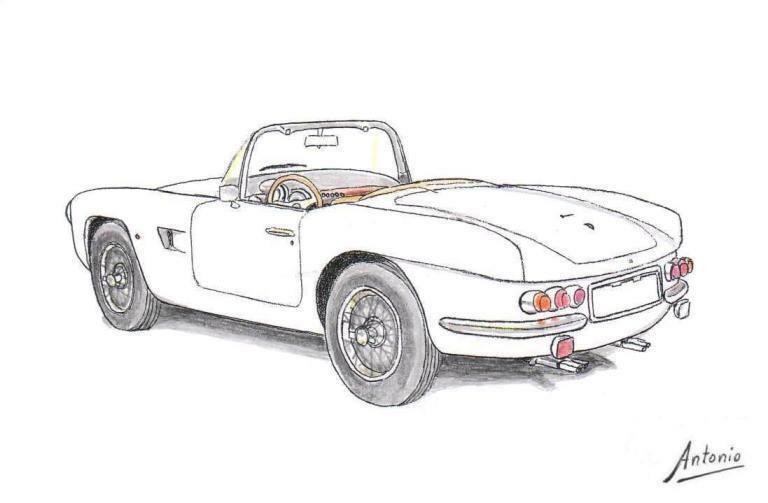 Currently it is painted white and has been exhibited at the Paris Salon in Rétromobile February 2015. 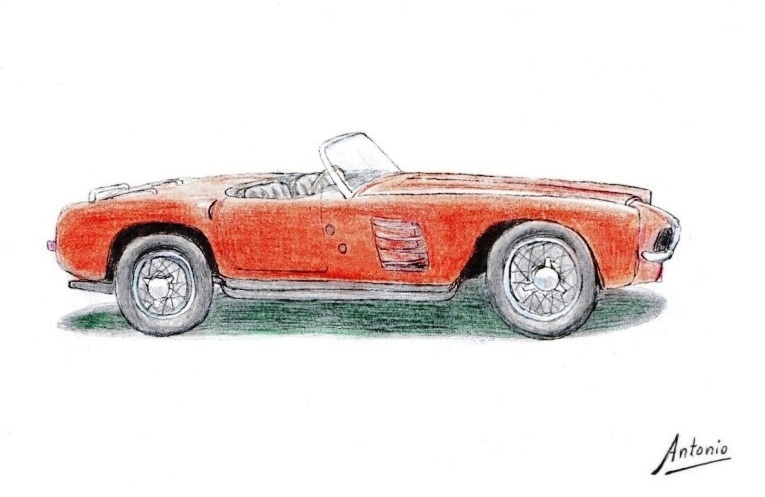 The following year Ricart order another spider again Pedro Serra to expose in the Paris Salon of 1956, a beautiful red spider with beige upholstery, listed as SS2. It has a more sophisticated line by increasing angles and chrome. Like the SS1 had its twin in another order of the same factory almost simultaneous with identical color and upholstery. 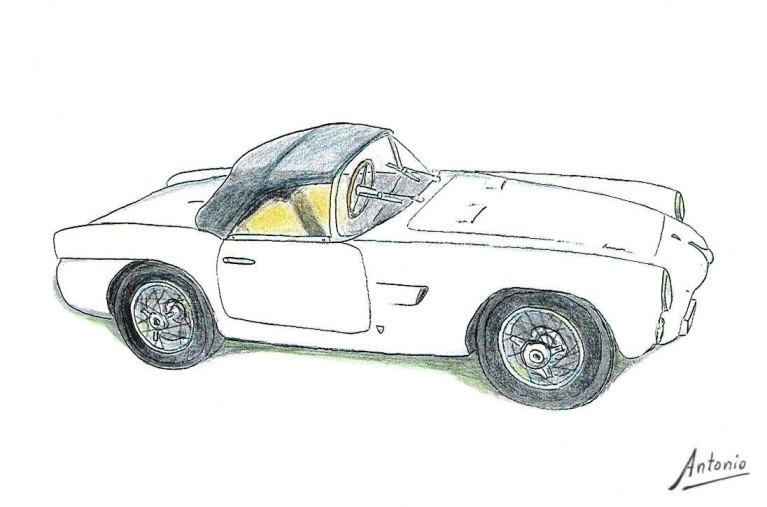 The third SS2 was made on the basis of a berlinetta Touring that had belonged to Polo Villaamil and after a serious accident, given the difficulty of repair, ENASA commissioned a body to Serra. The latter was sold in 1957 to the signing of Gonzalez Byass sherry and spirits Fundador cognac to raffle it. The back line of this unit is something different from the other SS2 with somewhat higher queues. 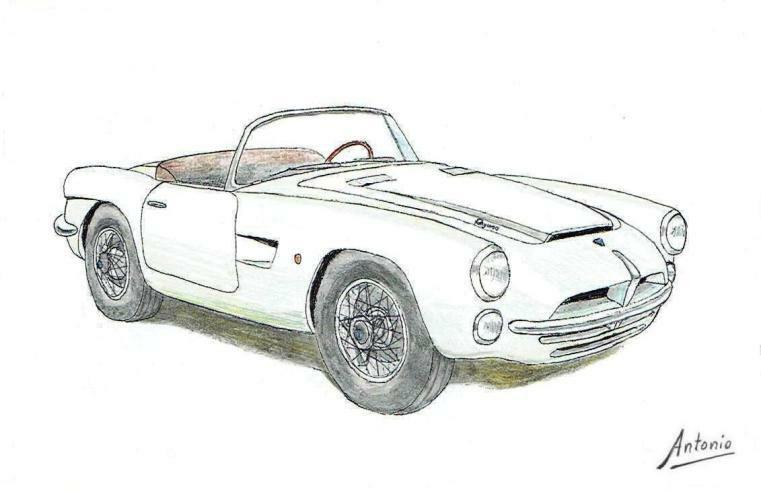 And then were six Pegaso Spider Serra. Originally it is a Montjuich barqueta and participated in several competitions. 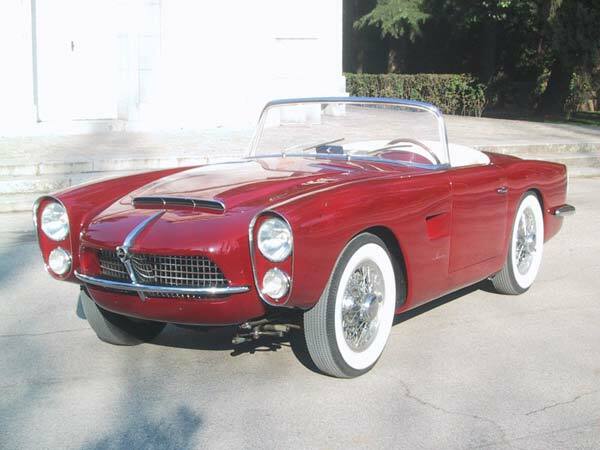 Later it was sold to a particular which commissioned a new cabriolet body to Serra, who in April 1959 was given the new vehicle with dual vertical headlights in the same plane as the SS2; but the car passed through several hands until it is in a very deplorable state; its new owner, Enrique Coma Cros, rescued and returned to their state of year 1959 changing its original gray color for a garnet red, with the restoration overseen by self Pedro Serra. Later has been restored it again recovering its 1959 color. 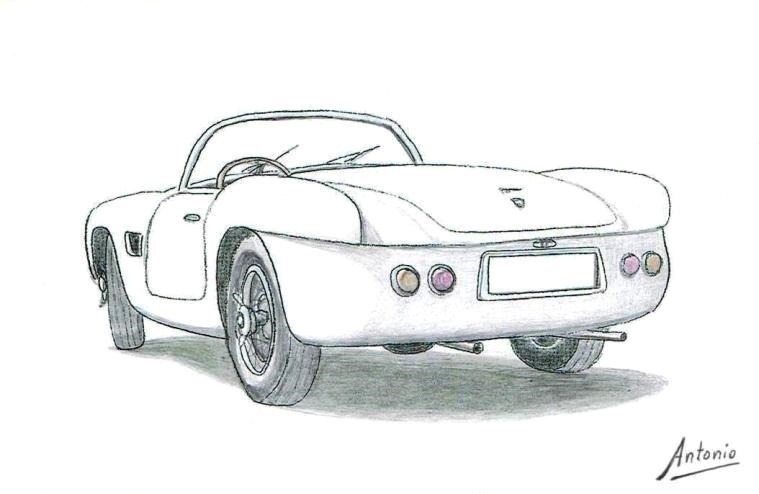 The Touring barqueta STC initially destined for Le Mans (chassis No. 3/0127), once sold to a particular suffered a serious accident while testing a prospective buyer, was rebuilt in early 1959. 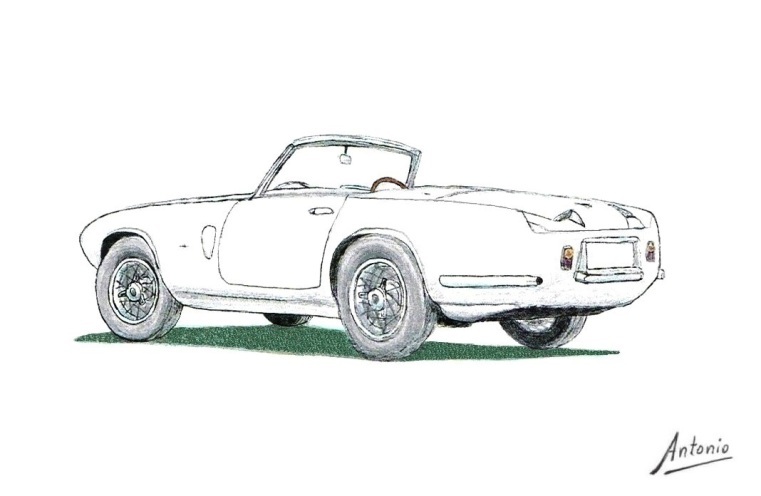 Serra Serra gave a front line similar to the SS2 Spider. 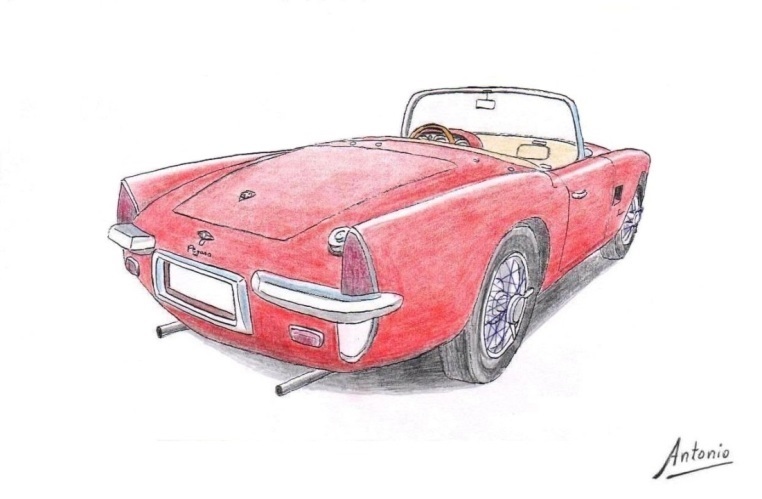 The car subsequently suffered various vicissitudes, having being mounted a Jaguar 3.4 engine. Acquired by its current owner Enrique Coma Cros, it was restored equipping him with a mechanical Z-102 and returning to its original state as it came from the workshops of Touring in 1953. 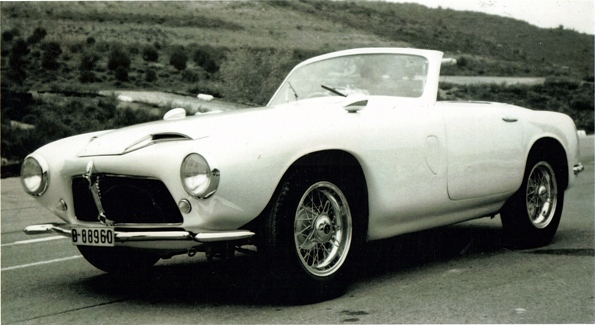 The driver Juan Jover bought a berlinetta Touring to Enasa after his serious accident in practice for the 24 Hours of Le Mans with whom he competed in the XIV hill climb to La Rabassa in 1954, Juan Jover sends the car to an Italian specialist to improve brakes, distribution and carburation. 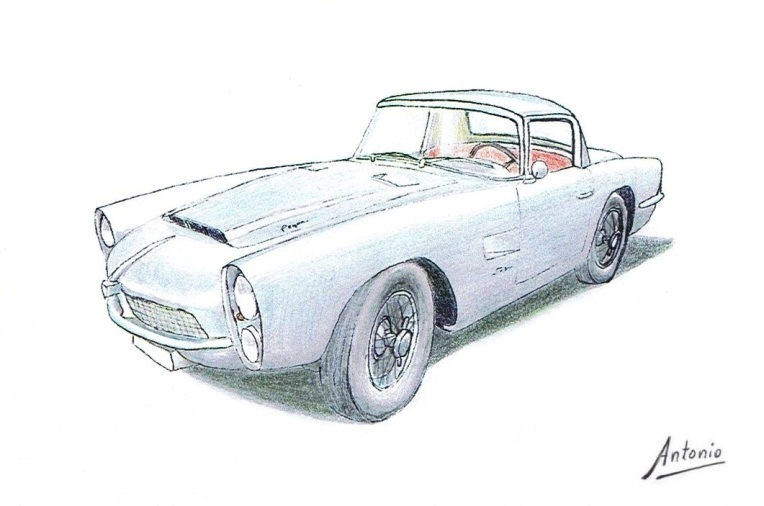 In the hands of its new owner in 1957 passed color blue to white. 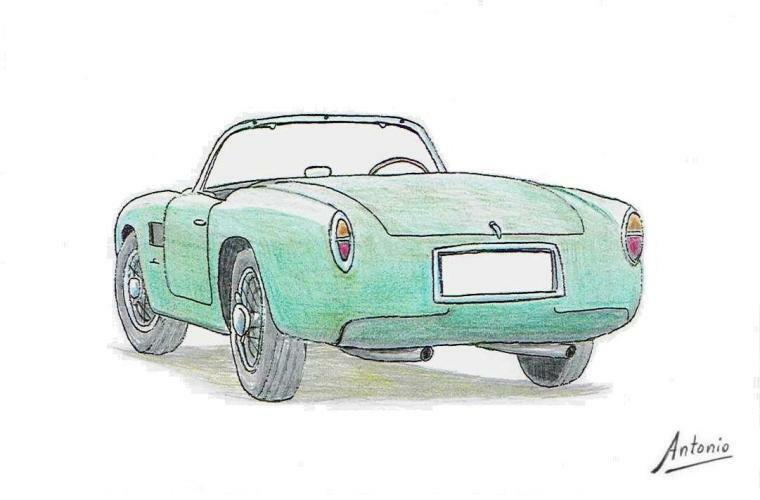 Sold again in 1959, its new owner, Enrique Coma Cros paints in green and instructs Serra transformation from coupé to roadster in 1960. He also added a bumper of the Z-103 Panoramic. Later it was sold to Antonio Arderiu and painted white. 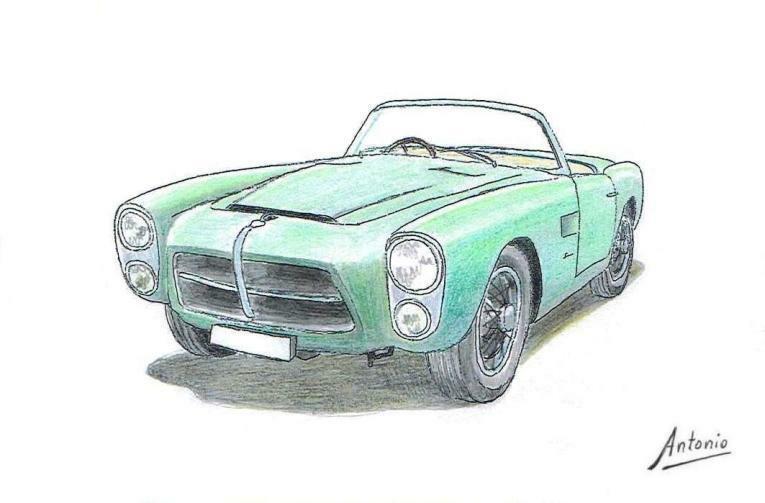 Recently Pueche has added the cross Pegaso on the front and fog lights and removed the bumper as shown in the last drawing. Exposed in ClassicAuto Madrid 2018. Exhibited at Autoworld Brussels (Belgium) 2018. A berlinetta Saoutchik BS1 (chassis No. 0-0126) with leopard skin upholstery and gold-plated knobs passed through several owners until one of them in 1960 commissioned Serra modification work, giving it a fast back line and being painted in black with red upholstery. 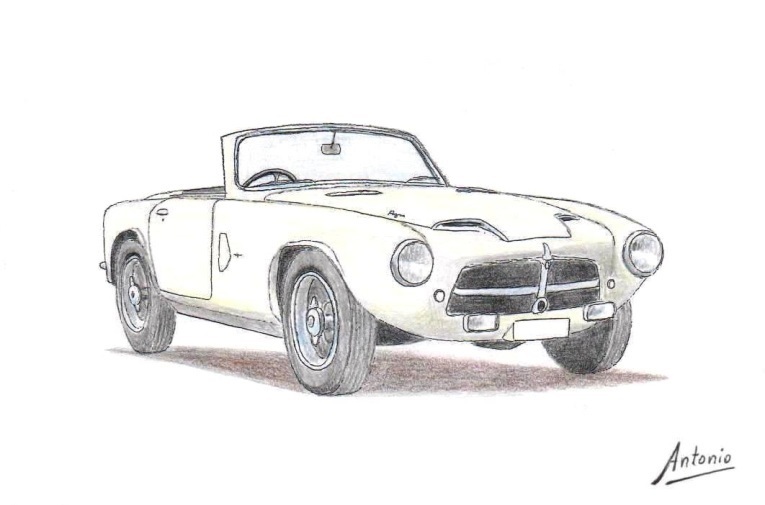 The car was subsequently be removed, leaving the engine in France while chassis and body went to the United States where it was scrapped. 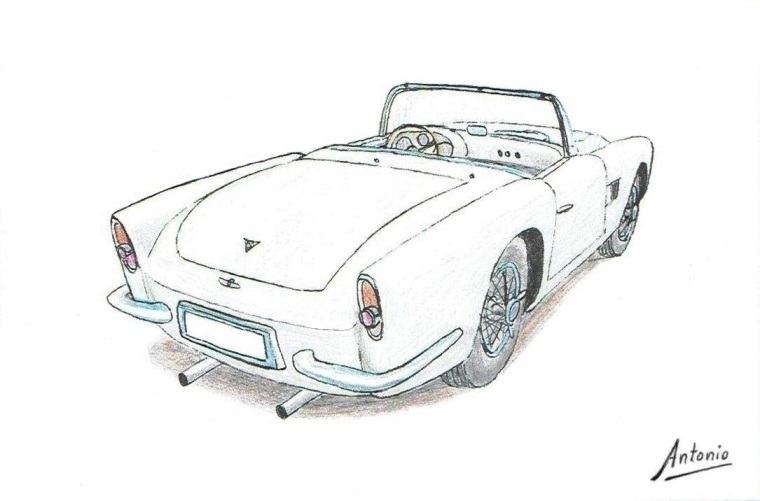 Few years ago Walter Ankli purchased the remnants and with a engine Z-102 restored chassis and mechanics by incorporating a great Spider Rabassada reproduction. 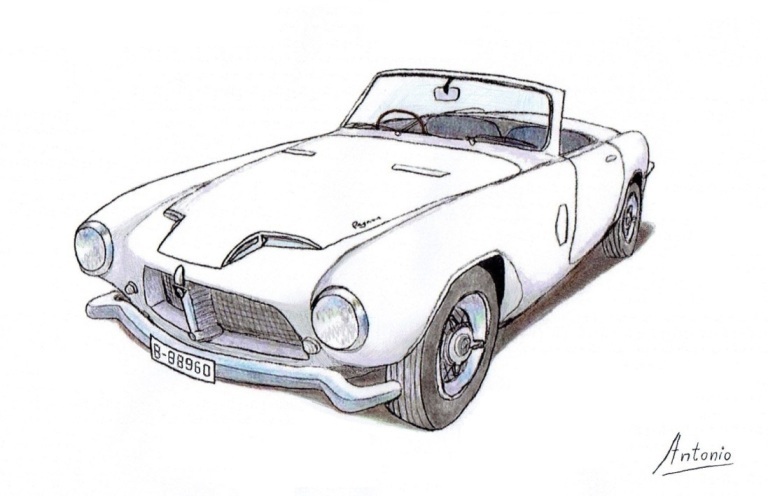 In 1991 a group of financiers of the country, in collaboration with a British company (the design firm IAD), introduced in the market the reissue of the Pegaso Z-103 SS1 to be produced in limited series. Only they were gotten to make 11 cars. 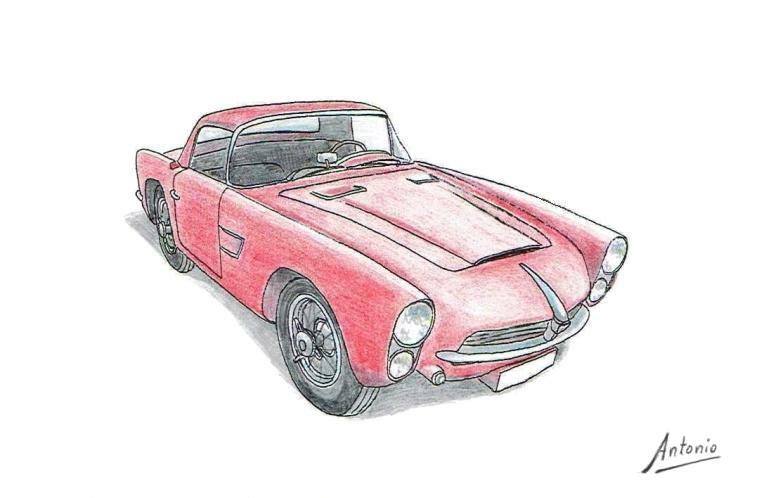 The Z-103 Replica carries a Rover V8 3.9 liter aluminum with very similar to the original model with leather trim by Artespaña interior. 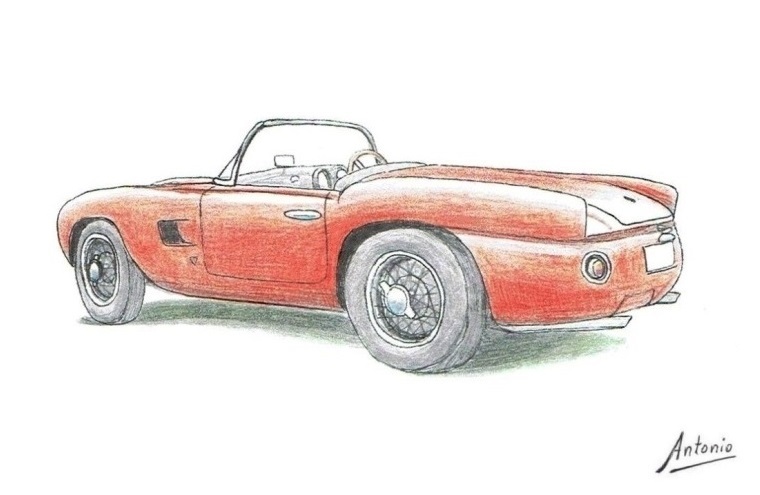 As for the exterior, the design of this two-seater roadster is true to an embodiment of the Catalan coachbuilder 1955 Serra, although the windshield is greater angle of curvature on the sides. Frameless windows are also incorporated in the doors, because in the original version had "windows" transparent plastic emergency. At the rear it incorporates three lights on each side, as the original model did not comply with current legislation. 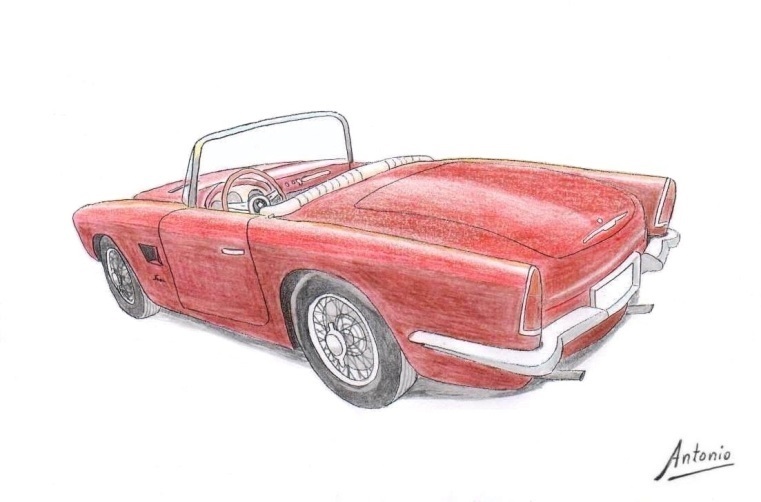 Also, the fabric roof is wider and straight, providing more space for the occupants, and bumpers are available at both ends of the body, and outside rearview mirror. 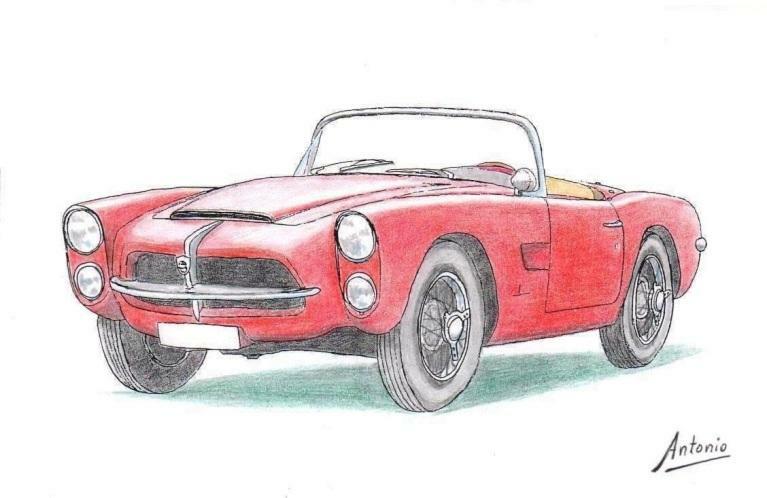 Other changes affecting the operation of the car consist of disc brakes (instead of the drum), the gearbox five speeds synchronized, rack and fuel tank above the rear axle, more protected than in the original.